Layering Buddha Live is a transformation of a transformation. 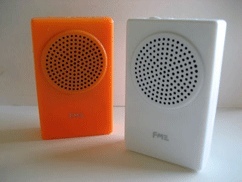 It all began with my first encounter with the FM3 Buddha Machine: A cheap loop playing device, filled with nine musical loops, created by Christiaan Virant + Zhang Jian, presented at the MUTEK Festival 2004. I realized that the fun starts if you turn on more than one unit. They all sound slightly different, and if you have multiple instances playing back at the same time, all sorts of complex and rich sonic moires appear. I wanted to dive deeper into that experience and took the sounds from a single buddha machine, recorded them with high quality converters to capture all details of that rough sound and applied all kinds of transformations to it. And, most important, by using the computer I was able to layer a lot of those treatments, resulting in very dense breathing atmospheres. In some of my layers the equivalent of a few 100.000 machines do run at the same time. From those layers I edited ten pieces, potentially endless states that I brought into their final shape by applying further processing, filtering and mxing. The pieces were released on a CD, entitled Layering Buddha, and as a set of 5 seven inch singles. The singles already pointed into the direction of Layering Buddha Live: They were intended to be played in a DJ fashion, where more than one copy is running at the same time, thus creating even more complexity. A highly significant aspect of playing back multiple FM3 Buddha Machines simultaniously is missing on the records: The amazing depth of space which emerges from those distributed little speakers cannot be reproduced in stereo. 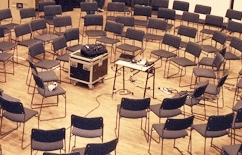 Layering Buddha Live uses six channels of audio, with the performer and the audience placed right in the center of the speakers in a focused, calm listening environment. By remixing, altering and spatialization of a large set of slowly fading loops, a highly dynamic and dramatic soundscape is created, a slow travel through the hidden details of the sound of the FM3 Buddha Machine and its transformations. 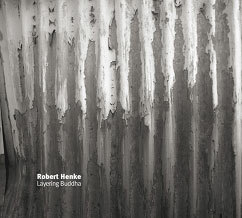 Layering Buddha Live has been performed at Club Transmediale in Berlin, at MUTEK in Canada, at the Museo Nacional Centro de Arte Reina Sophia in Madrid, at the Art Gallery of NSW in Sydney, the Dispatch festival in Belgrade, and several other events. Find below two stereo recordings of the Layering Buddha Live six channel performance. 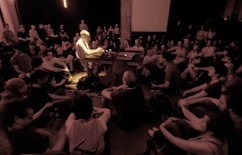 The first recording is from the premiere, January 31 2007 at Maria am Ufer during the Club Transmediale festival in Berlin, and the second file is from a performance recorded on November 22 2008 in Poznan, Poland. The recordings mainly serve as a document of something much bigger and cannot really capture the quality and sonic density of the live performance. However, they sound surprisingly cool and this is why I decided to make them public. The first recording has some clippings and other technical flaws, which I left it in to keep it real.